Visionaries like Haku Shah offer, through the example of their life-long dedication and the multiplicity of their contributions, one of the most enduring guarantees of civilization in a present governed by turbulence. 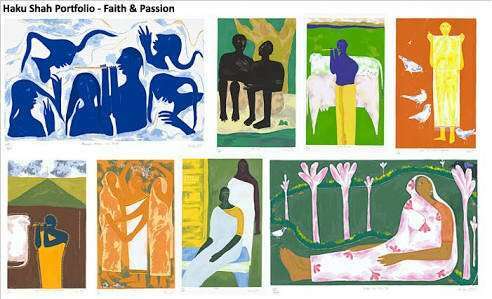 He has distinguished himself in several fields of endeavor, often entering these at an angle and re-defining their methods and concerns; he is, in his various avatars, a painter and a photographer, a cultural anthropologist and a crafts archivist. His activities are inspired and unified, however by the vision of an India that is not divided by sectarian and religious hatreds which seems to have risen above the bondages of caste and ethnicity; that is not held prisoner by the illusionary binary of tradition verses modernity. Haku Shah was born into a Gandhian ethos, nearly eight decadeds ago, in the village of Valod, in Gujarat. Following Gandhi’s teachings, Haku Shah imbibed the necessity of social reform by peaceful means, through dialogue and personal example rather than State diktat. 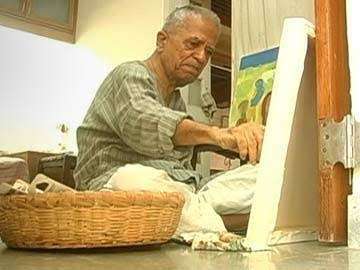 He decided to train himself as a painter at the MS University, Baroda: the fine arts faculty which was caughtup, during the 1950s, in a vibrant traffic of evolutionary ideas revolving around communion between the academically respectable arts of painting and sculpture. In Baroda Haku Shah was awakened into the style of wonderment when he as a student learnt the world view of Gandhian, Tagorean streams from whom he learnt traditional art forms. After studying such great confluence of different artists like – Coomaraswamy, Nandlal Bose, Tagore etc he learnt the difference between the urban based ‘fine arts’ and so called ‘crafts’- of rural and folk, subaltern India. 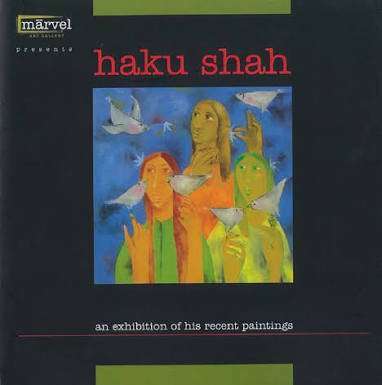 Haku Shah has been deepely nourished by the deep groundswell of Vaishnava sacred art, he has also memorialized, especially in his recent works the trans- sectarian tradition of Indian mysticism, drawing inspiration from concourse of saint poets that south Asia has produced across two millennia. He invites the viewer to the stylized graceful terracotta votive offerings to which India’s tribal people express their hopes and desires, their magical sense of connection with events, natural cycles and dead ancestors and guardian deities whom they worship. “They approach the universe in the spirit of reverence”, remarks the artist. ‘’To them the things of the world are clothed in the aura, of the sacred, which they venerate through sacrifices and offerings”. 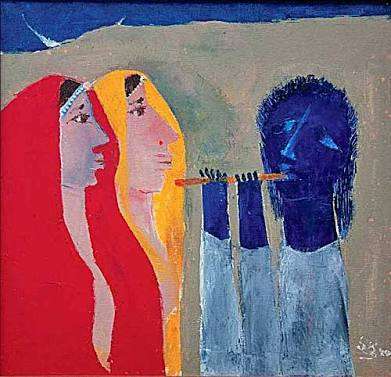 Haku Shah committed himself to the circuit of creativity and documentation; the artist discovering the reality of his own imagination must also assist others to recover the power to imagine their own realities. Regarding the lore of the past as a ‘seed bank of the culture’, he insists that we must document these forms before they vanish, crumbling away as the context that sustained them have been leveled to dust; as importantly he insists, we must open the eyes of art collectors to the artisanal arts of the rural- tribal areas. 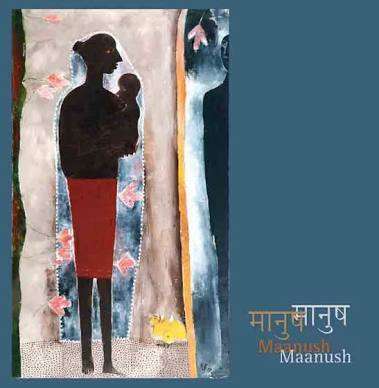 Manush’ – An exhibition of paintings, collages and mixed media works by Haku Shah was a collaborative effort by CMAC, Art Indus, Aakriti and Tao which was one of his most celebrated wo works. 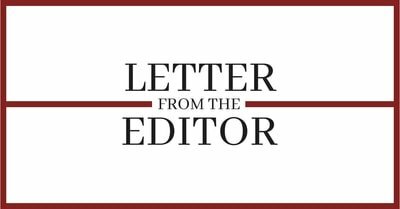 In recent years Haku Shah has spoken, from the standpoint of that inclusive love which the mystics have called Ishq, against the forces of violence that would rip India to shreds with riot, pogrom and hate speech. 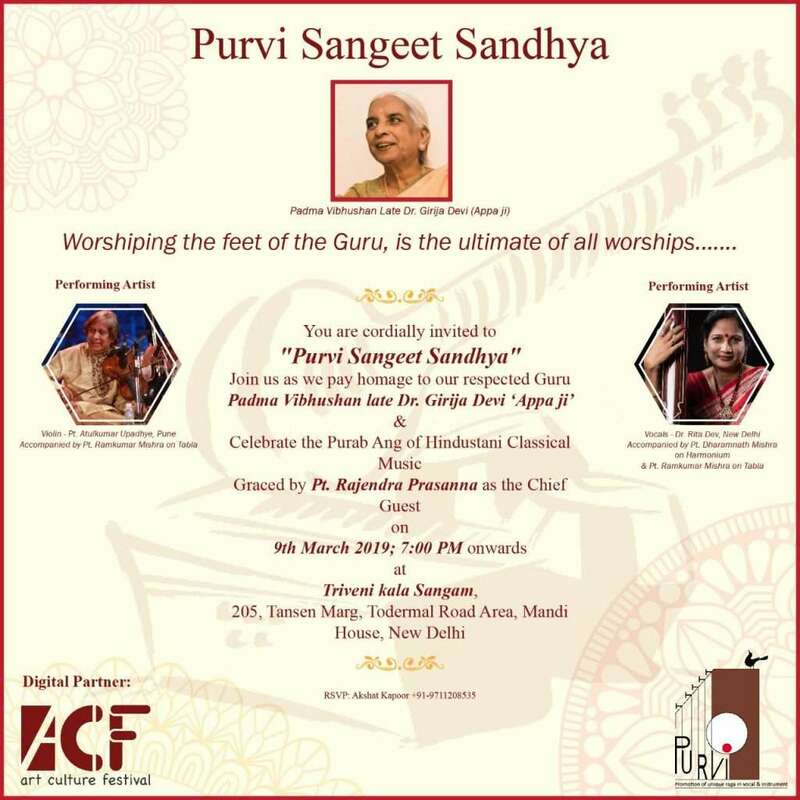 He has collaborated with the gifted vocalist Shubha Mudgal in ‘Aman –e- Ishq’ ;a confluence of image and song that celebrated the pluralism from which the fabric called India is woven. As vigorous and sensitive as ever, Haku Shah follows the clay horses today, hears the songs of the pot, attends to the songs of the saints- poets as they break down the barricades of the world and invite us to breathe in the rain of grace.